Dubai is home to a great variety of luxury residential destinations, but Emirates Hills is perhaps the most exclusive and prestigious of them all. 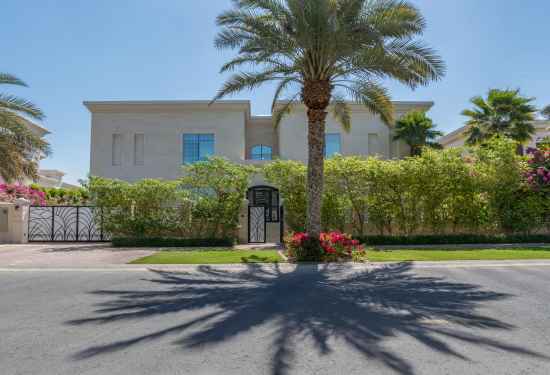 Often referred to as the “Beverly Hills” of the UAE, it offers exceptional standards of living with a magnificent collection of superbly opulent villas. Meticulously built around a lifestyle of comfort and convenience, Emirates Hills features elegant private neighborhoods completely supplemented with world-class facilities and amenities. The community comprises a number of stunning villa developments, such as Montgomerie Hills, Signature Villas, Dyaar Al Hambra, and Montgomerie Maisonettes. Located next to the Address Montgomerie, Emirates Hills is a modern urban escape in a picturesque setting, with unceasing vistas of verdant landscapes and Dubai’s breathtaking skyline. Emirates Hills is a haven for lovers of golf and the outdoors as they can take delight in two exceptional and world-class sporting facilities: the Address Montgomerie and the neighboring Emirates Golf Club. As an all-encompassing community, including a number of first-rate educational institutions and healthcare facilities, it is an ideal destination for family living as well. Spacious rooftop areas and private gardens afford residents plenty of entertaining space during special occasions. They can also enjoy an evening of gourmet dining at the many restaurants around the community, while high-end retail venues are just a quick stroll away. Set within 265 acres of lush green terrains, Address Montgomerie is a golf lover’s paradise. It is regarded as one of the top golf courses in the Middle East and is designed to provide the most luxurious golf experience possible. It hosts a modern and elegant clubhouse as well, which offers several five-star services and amenities including superb culinary experiences and a relaxing spa. Emirates Hills is home to some of Dubai’s top-notch schools, including Raffles International School for nursery to secondary levels, and Dubai International Academy, famed for offering an internationally accredited curriculum and a rich language program. Highly revered as the premier golfing destination in Dubai, Emirates Golf Club is the first all-grass championship golf course in the Middle East. It features the Majlis Golf Course, which hosts the prestigious Race to Dubai Championship andhas been ranked amongst the ‘World’s Top 100 Golf Courses’ by Golf World magazine, and the Faldo Golf Course, the only fully floodlit 18-hole course in the UAE.